Bookings are limited for this photography tour. Place your deposit online to secure your spot instantly. Few places in the world can offer the traveller such a remarkable combination of stunning landscapes, pristine beaches, captivating cultural heritage and unique experiences within such a compact location. Join Glenn Mckimmin on this 5 star luxury exotic Sri Lanka photo tour experience in 2020. Set in the Indian Ocean in South Asia, the tropical island nation of Sri Lanka has a history dating back to the birth of time. It is a place where the original soul of Buddhism still flourishes and where nature’s beauty remains abundant and unspoilt. This Exotic Sri Lanka Photo Tour 2020 will show you more than you thought could possibly exist in such a small country. Few places in the world can offer such a remarkable combination of stunning landscapes, pristine beaches, captivating cultural heritage and unique experiences within such a compact location. Within a 65,610 kilometre area, lie 8 UNESCO World Heritage Sites, 1,330 kilometres of coastline – much of it pristine beach – 15 national parks showcasing an abundance of wildlife, nearly 500,000 acres of lush tea estates, 250 acres of botanical gardens, 350 waterfalls, 25,000 water bodies, to a culture that extends back to over 2,500 years. With many sites and scenes bottled up in a small island, imagine yourself waking up in the National Park watching the Elephants and then later that day admiring the green tea-soaked mountains by dusk. This Photographic Tour of Sri Lanka provides an array of photographic experiences, from sun-kissed beaches to a marathon of wildlife watching, an immersive experience in the aromatic delights of the tea plantations and even a pilgrimage to some of the oldest cities in the world. You will stay in 5 star pure luxury accommodation and experience the finest culinary delights the local cuisine has to offer. 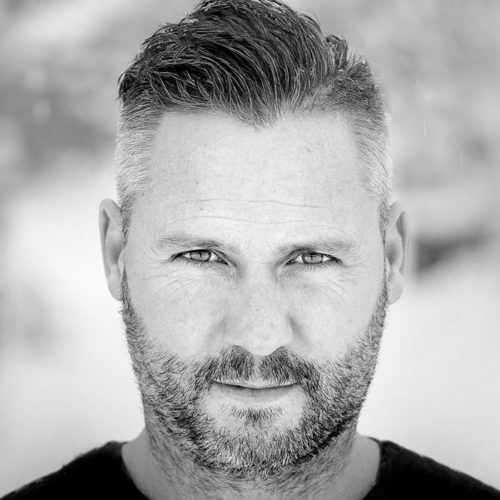 Glenn has travelled and photographed extensively – within Australia and overseas – and is excited to lead the group through the beauty and diversity of Sri Lanka. As part of a small group, under the guidance of a passionate, experienced photographer, you are assured of being in the right place at the right time, to capture the multitude of sights and experiences you will encounter. Spare batteries, there will be a long days with plenty of shooting. Filters if you have them (Polarizer/Graduated/Neutral Density). Wet weather gear & a compact umbrella (rain will not hold us back). The average temperature in Sri Lanka for September is 28 degrees with a low of 25 degrees. Light breathable clothing is best. Good supportive boots. Waterproof would be best. Arrive at Katunayake Airport by UL 303 at 1630 hrs. Check in at the Hotel. Evening at leisure and chill out by the lagoon. The cluster of huts in the traditional fishing village of Negombo, located along the borders of the lagoon waters with palm-thatched roofs is a sight hard to miss. It is not only renowned for its quaint beauty but also for the flourishing fishing industry. This fishing hamlet allows you to observe up-close, the traditional fishing equipment and methods used by local fishermen, such as the outrigger canoes carved from tree trunks. If you are an early bird, you could even witness the fishermen returning home with their daily catch, others hauling the heavy nets in as well as the busy bargaining that follows between the fishermen and the merchants. One of the most common sights sure to catch your eye while strolling through this village would be the many layers of fish laid out in the sun to dry, which is one of the commonly practiced local preservation methods. Welcome Dinner at Blue Lagoon Restaurant at the Jetwing Lagoon Hotel. Not only is Jetwing Lagoon Hotel aesthetically stimulating, it is also of considerable historical significance as it is the first resort to have been built by the legendary architect Geoffrey Bawa in 1965. The resort is decorated in graceful hues of white and brown and features the longest swimming pool in the area (100 metres) nestled in the center of the property, adding to the serene atmosphere of the whole place. After breakfast, you will visit the small harbour and the local fish market. Each day, fishermen take their oruvas (outrigger canoes) and go out in search of the fish for which Negombo is well known. They are an incredible sight as they sweep home into the lagoon after a fishing trip. Fish auctions on the beach and sales at the fish market near the fort are a slippery sight – and very smelly – but well worth seeing. The catch is not all from the open sea. Negombo is at the northern end of a lagoon that is renowned for its lobsters, crabs and prawns. Across the lagoon bridge, there is a second fish market. If we can stagger out of bed at 6am, it’s a good place to watch much bigger fishing boats returning with their catches. Wilpattu National Park is our next destination. There are approximately 30 mammal species in Wilpattu National Park, including the Sri Lankan Elephant, Sri Lankan Leopard, Sri Lankan Sloth Bear, Spotted Deer, Buffalo, Sambar and Mongoose. After lunch, we head into Wilpattu National Park for a Jeep Safari. After we have settled in and eaten, we will be treated to a night walk in the National Park. Dinner will be a 7 course BBQ with Sri Lankan and Western signature dishes around a camp fire with an array of Sri Lankan alcoholic beverages – Sri Lanka’s coconut arrack, gin, rum, locally brewed beer and some international wines. Overnight stay at Mahoora Camping Site. Mahoora is a rustic luxury experience with spacious tented accommodation with bedroom, living area and en-suite bathroom. The living area includes a comfortable couch, easy chairs, and a mini library with lighting. The Bedroom has two raised single beds with a partitioned en-suite bathroom. Freshly laundered white linen takes centre stage in the bedroom, with bed side stools and other amenities. Travel times – Morning Safari ( 3 Hours ) Proceed to Dambulla ( 2 hours) Proceed to Kandalama, Dambulla reach the hotel (45 minutes). Have an early start, get ready for the Safari and reach the Wilpaththu National Park by 6am to begin your Game Drive. A packed breakfast will be served inside the park. Thick foliage interwoven with shrubbery, streamlets and tanks that expand during the monsoons and contract during the dry season – the landscapes of the Wilpattu National Park provide an ideal hideout for the varied wildlife species. The park is most popular for its sightings of majestic elephants, lithe leopards, spotted deer, sloth bears and gigantic crocodiles. One can also witness striking flocks of peacocks, painted storks, jungle fowls and mongoose. Spreading over 1,085 sq.km, it is Sri Lanka’s largest National park. Return to the camp site and check-out to proceed to Dambulla. Dinner tonight will be an incredible experience as we dine in a cave. For the next two nights, we stay at The Heritance Hotel in Kandalama. This hotel is located in a still forest of dense green, with floating whispers of bird song and monkey chatter, and the heady fragrance of exotic flowers on a soft silky breeze, with the lake shimmers in the distance. A dream – so wonderful, yet so real. Early Breakfast at Kanchana Restaurant, overlooking the Kandalama Lake. Proceed to Habarana. Habarana village tour, so you can enjoy traditional bullock cart rides across the hamlet that are driven across lush green paddy fields and mud-thatched houses that speak amply of the distinctive beauty of the rural villages. Lunch en-route at a local restaurant. Then you start your Jeep tour to meet the jumbos. Minneriya National Park shelters some of the greatest wildlife treasures of this paradise isle. The ‘Sixth Greatest Wildlife Spectacle of the World’ – the amazing phenomenon of the ‘Minneriya Elephant gathering’ which occurs during August – September. Also visit a Batik Factory and a Wood Carving Centre to experience some Sri Lankan villagers at work. Accommodation tonight is again at The Heritance Hotel in Kandalama. Early morning walk in the hotel surroundings. Do a soft trek yourself. The guide will direct you to some bird watching. Breakfast at Kanchana Restaurant. Proceed to Sigiriya. Sigiriya Rock Fortress, an 8th wonder of the world is a rare jewel among the many treasures in Sri Lanka. It is adorned by the famous Sigiriya frescoes of the buxom, wasp-waisted maidens bearing flowers, amidst the wilderness and ancient ruins. Lunch at local restaurant in Sigiriya. After lunch proceed to Polonnaruwa and start sight-seeing in Sri Lanka’s second kingdom. Once the site of Sri Lanka’s second medieval capital, Polonnaruwa enthrals visitors with a timeless reflection of the country’s glorious history. The quaint landscapes studded with sites of archaeological importance are all well-preserved and lie on the east shore of the ancient man-made lake – Parakrama Samudraya (literal translation – sea of Parakrama). Pedalling around the sites is the best way to observe and appreciate their antiquated glory as the sites are a little too overwhelming to explore just by foot. Continue the ride to Psikuda. Arrive and check-in to the hotel. Time to enjoy the beach. If time permits, snorkel by the reef nearby. Chill out or pamper yourself in the resort’s underground spa overlooking the Indian Ocean. Accommodation tonight is Uga Bay Resort – an elegant, luxury beach resort hotel owned by Uga Escapes, with an outstanding reputation for comfort, cuisine, genuine hospitality and tropical-paradise charm. It is located on what is arguably one of Sri Lanka’s best beaches, Passekudah. Early rise today as we depart at 6 am with breakfast and head to Passikudah for whale watching. Passikudah is a small coastal village situated in the east of Sri Lanka about 35km from Batticaloa. It is famous for its golden bay and clear, shallow waters in which you can walk 50 metres out to sea. It is a virgin beach and renowned throughout the country for its beauty. After hopefully seeing some whales we head to Kandy. When we arrive in Kandy we will commence a Kandy City Tour. Kandy was the last capital of the Sri Lankan Kings and is a World Heritage site. The name “Kandy” conjures visions of splendour and magnificence. Many of the legends, traditions and folklore are still lovingly kept alive. We will also drive around the Kandy lake built by the last Sinhala King, Sri Wickrama Rajasinghe in 1798. Later we will visit the Kandy town and bazaar, the arts and crafts center, a gem museum and a lapidary. Lastly, we will visit The Temple of Tooth Relic. Accommodation for the next two nights is at the Amaya Hills Resort. Some call this the resort in the clouds! Nestled in the picturesque hill tops of Kandy, Amaya Hills provides a breathtaking retreat that peers into the verdant mountains of Hanthana. Built along the lines of a Kandyan Palace, a Maligawa as locals would call it, this hotel is a tasteful mingling of Kandyan culture paired with the trimmings of contemporary luxury. Today we head to Udawatta Kele Sanctuary or the Royal Forest Park of Kandy which is situated on the hillside behind the Dalada Maligawa or the Temple of the Tooth Relic. This forest covers about 257 acres and is considered to be a vital bio reserve for the highly populated Kandy City. The forest is rich with vegetation consisting of a canopy, sub canopy and an underground layer. The dense plant life restricts sunlight reaching the ground soil surface. The underground layer mostly consists of the seedlings of the canopy layer species and creepers that reach all the way to the top of the canopy. There is a giant tree 200 to 300 years old “Pus Wela” or ‘Entada pusaetha’ liana in the forest. After lunch, we will visit the Peradeniya botanical garden which was first built as a pleasure garden by a Sinhala King and was expanded by the British. It covers 147 acres and provides an amazing variety of trees, plants and flowers. Later that evening, at the theater located near the temple of the Dent, we will watch the colorful and dynamic Kandyan dancers who walk on fire. The dances recreate a ritual performed by the villagers of this mountainous region to obtain favour of the God, Kohomba. They are accompanied by percussionists playing the ”Gatabera”. Accommodation is at the Amaya Hills Resort. After breakfast today, we take a train to Nuwara Eliya. This journey has been described as one of the most beautiful train rides in the world. 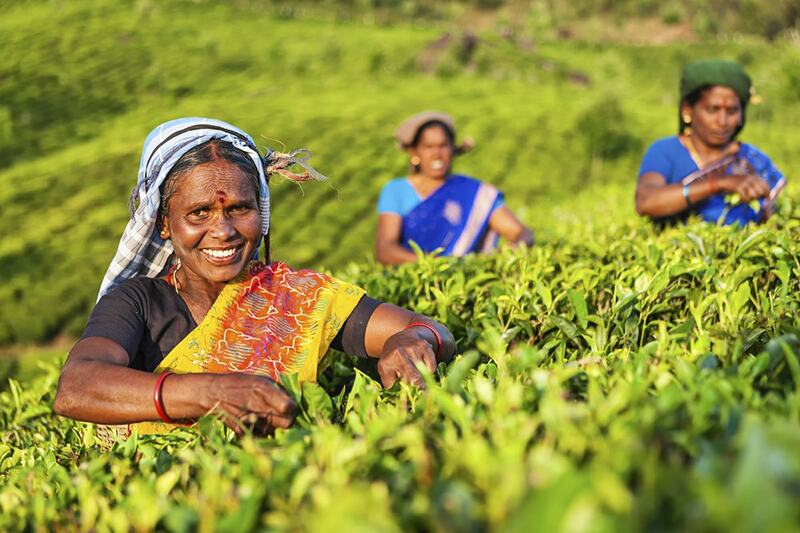 During the train journey, you will see lots of Tea Planation fields with Tamil workers harvesting the tea. Passing British-made tunnels adds to the ride, giving you an amazing experience while capturing brilliant images. We will finish the day in Kandapola, in the heart of the tea plantations. Dinner tonight will be no ordinary fine dining experience, nothing quite matches ‘Dining on Wheels’ – Hotel’s Railway Carriage Restaurant. Nuwara Eliya once boasted a narrow-gauge railway – the Udupussellawa line, vital for transporting tea, which was discontinued mid last century. However, carriage TCK 6685 returns to its glory days: polished teak and brass fittings gleam in the candle light; white- gloved butlers wait quietly in attendance. The Executive Chef himself will welcome you and take your order. Accommodation tonight is at the Heritance Tea Factory. Heavy mist rolls in, a chill breeze swirls across the valley, dew glistens and glimmers on fresh green leaves – acres of them, over into the distance. Indoors, a cloak of warmth embraces you as centuries of tea hangs infused in the air. Have you returned to 19th century Ceylon? Possibly! After breakfast, we head off to visit Horton Plains, covered by montane grasslands, coverings of thick forests, waterfalls, rocky boulders and hazy lakes. We will do a short hike through its dewy foliage and misty landscapes. We then proceed to Galle, visiting a Tea Plantation and a Factory en-route. The plantations give the landscape a unique appearance and you will discover the “country of tea”. You will learn that the flavour and quality of tea depends on the altitude where the plant is grown. Harvesting is always done by women. The pickers, dressed in brightly coloured “longhis”, go from shrub to shrub, stripping the young buds and tender leaves with skillful hands and then, with a quick gesture, throw them into the hood attached to their shoulders. Lunch is at a local restaurant. 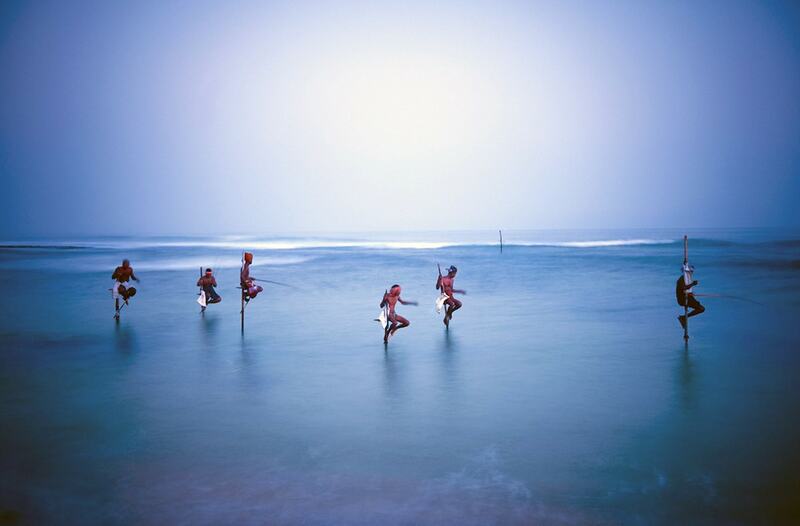 We then continue to Galle, but on the way we will see Stilt fishermen practicing one of Sri Lanka’s most ancient fishing techniques. We will pass the little coastal towns, observing the fishermen out in the sea, precariously perched on a wooden stilt sunk deep into the seabed. This will be one of the best shoots of the trip. Accommodation for the next two nights is at the Jetwing Light House Resort. On the fringe of the former Dutch Colonial town of Galle, stands Jetwing Lighthouse, a testament to the iconic work of the Sri Lankan architect, Geoffrey Bawa. This elegant hotel is the ultimate tropical retreat amidst the sun, sea and sands of the southern coast. After breakfast we head off to Galle for a city tour. Galle is a living time capsule, home to the largest occupied fort in Asia. Its quaint beauty extends beyond its golden beaches and cerulean waters, with a rich history creating an amazing walk through the narrow, cobbled streets within the fort. Having completed our tour, we will head back to the hotel to see a cooking demonstration at our hotel. Accommodation tonight is at the Jetwing Light House Resort. Colombo, Sri Lanka’s commercial capital and major port, is a fine amalgamation of all the hues and cultures within this paradise isle. Thie chic metropolis brings together the many facets of this island nation. Before dinner you can try a sunset cocktail at the Checkers. The most historic landmark in the whole of Colombo, the Chequerboard serves drinks throughout the day. Make sure to get here early to get a seat for the most amazing sun set. The hotel resident Piper shows dignified respect to the Country’s flag as it is ceremoniously lowered at sunset every evening. Dinner this evening will be a real treat as we will dinning at Ministry of Crab, the restaurant owned by internationally renowned cricketers, Mahela Jayawardene & Kumar Sangakkara. Both of these incredible cricketers will come over to the table and chat to us about the Australian cricket team and cricket in general. If you feel the night is still young, try out the the 1864 Wine Cellar. Accommodation tonight is at the Galle Face Hotel. South Asia’s leading Grande Dame, the Galle Face Hotel is testimony to both Sri Lanka’s colonial past and its independent present. Celebrated within the hospitality world, it blends historical splendour with crafted modernity to form a new model for heritage properties. International guests are immersed in the Galle Face Hotel’s rich traditions and compelling stories, while Colombo society perceive the hotel as the most prestigious, desirable destination in the city for memorable dining and special events. Services of 2 professional photographic tour leaders, photographic tuition and workshops (suitable for any levels or ability). Internal travel and transfers. Minimum 4-star accommodation with private bathrooms on twin share / double basis. All meals are included (breakfast, lunch, dinner). International airfares, visas, extra drinks & alcohol, laundry, travel Insurance (compulsory), items of a personal nature. *Tour itinerary is subject to change at the discretion of Fotoworkshops. Please read our Terms & Conditions for more information. Why choose our Landscape Photography Tours? Imagine combining a dream holiday with your passion for photography. You will explore secret locations and gain new expertise in one of the greatest art forms ever created. With Fotoworkshops, you will be personally mentored by some of the most highly regarded professionals in the industry. A truly immersive experience that is sure to check off on the bucket list. Give some one you know a personalised gift towards any of our Photo Tours, Landscape Photography Workshops or Personalised Photography Tours. Vouchers are available in any amount from $100. Keep up to date with any news from the team at Fotoworkshops by signing up to our newsletter. All of our Photo Tours require a moderate level of fitness. There are no major walks but where possible we would like our guests to be able to walk for about an hour if needed. Check with your tour guide before leaving and we can give you a better idea of any special fitness requirements you may need to complete the Tour. If groups are not for you and you would prefer to travel by yourself or with a group of friends and family then we can accommodate your needs by customizing a Photography Tour to suit your individual needs, schedule, budget and interests. We also offer private one or two day photo tours and workshops in many of our locations. Please or email us for rates and information. Fotoworkshops was created to provide photographic enthusiasts access to a wealth of resources that can greatly assist in the development of photographic skills at any level.